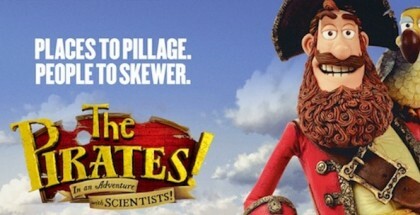 Wallace and Gromit’s final short serves up a familiar recipe but one baked with confidence and charm to spare. “Well done, lad. Very well done.” That’s the sound of Wallace (Peter Sallis) and Gromit returning to our screens in 2008 for their fourth and final short film. 13 years after A Close Shave, A Matter of Loaf and Death saw Aardman’s man-and-his-dog duo revert to a simpler form, following their big screen debut in 2005‘s Curse of the Were-Rabbit (Aardman’s own feature debut came with 2000’s Chicken Run). 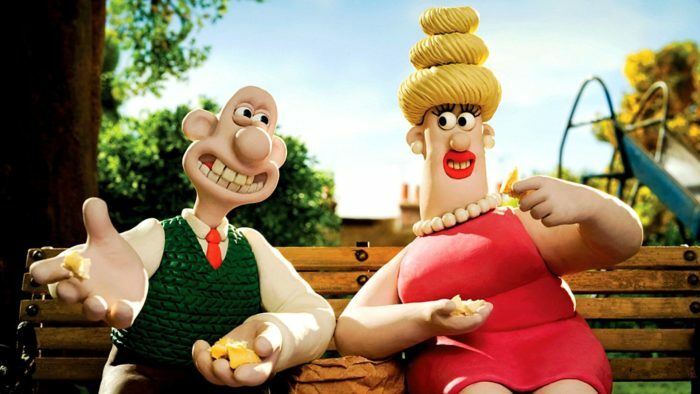 As a result, the 30-minute short can feel a little slight, but if there’s a lack of surprises on offer, that’s because director Nick Park has already worked out the ideal recipe for his claymation couple – this half-hour tale is simply another chance for him to enjoy baking it. That passion and affection shows, as we join the two best friends in their latest tech-powered start-up: a baking delivery service, called, naturally, Top Bun. Carrying on a tradition started in A Close Shave and continued in Were-Rabbit, their venture sees Wallace cross paths with yet another romantic interest – our Northern lad, it turns out, has a soft spot for lasses, particularly ones with brilliant names who get him into trouble. This time, it’s Piella (Sally Lindsay), a baker who used to be the Bake-Lite Girl, the beautiful mascot made famous by a series of TV ads involving a hot air balloon from decades ago. Between and her poodle, Fluffles, the result is quite the charming package for our double act – and, of course, quite the dangerous one too, as things spiral into an absurd story of revenge and kitchen-based violence. Sally Lindsay, aka. Shelley off Coronation Street, is perfectly cast as the femme fatale, able to play sweet and posh and suddenly descend into nastiness. 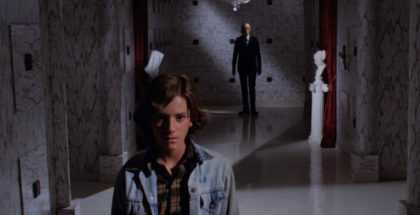 And Sallis, of course, is the ideal blend of earnest and naive to be suckered in by it all. And so the stage is set for a horror-romance that, as you now expect, juggles pop culture references with precise storytelling and hugely entertaining pacing; chucking in nods to Aliens, Ghost, Silence of the Lambs and more, it builds expertly to a farcical sequence involving a windmill and a bomb that’s worthy of 1960s-era Batman. 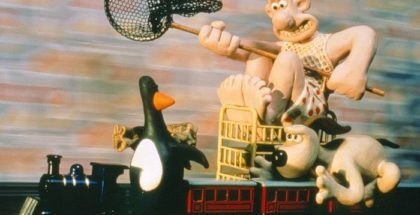 And that chaos is balanced seamlessly with Aardman’s signature strain of near-silent comedy – a Chaplinesque blend of sentiment and slapstick that was honed in the years before this by the Shaun the Sheep spin-off series. The jokes don’t fly as thick and as fast as they have done before, but A Matter of Loaf and Death is all about the mix of familiar components: A Grand Day Out sentiment at the heart of Wallace and Gromit, The Wrong Trousers got the plotting of their adventures right, A Close Shave found their non-stop funny bone, and Were-Rabbit brought ambition and scale. A Close Shave is a deft whisk of all of the above, but in a way that still feels personal; unlike Were-Rabbit, Park didn’t find himself under pressure from DreamWorks to create a film in a certain way. Once again, therefore, we see another sidekick introduced at the tail end of the story, which leaves you wanting more. And once again, we see our star pair fall out and make up over a tumultuous half-hour. And once again, the film was nominated for Best Animated Short at the Oscars. But as familiar as all these things feel, there’s a satisfaction in sharing the infectious joy of something made with such care and confidence. So perfect was the recipe that this was the last Wallace and Gromit film before the retirement of Sallis – there hasn’t been one since. A Matter of Loaf and Death is available on Netflix UK, as part of £7.99 monthly subscription. Where can I watch A Matter of Loaf and Death on pay-per-view VOD?